Morgan James Publishing, 9781600376481, 296pp. 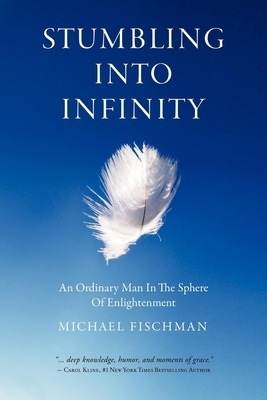 Stumbling Into Infinity is the intimate and sometimes startling account of Michael Fischman's spiritual journey and the encounter that changed his life forever. His story opens on a flight to India, as he reflects on the unusual chain of events that led him from a challenging childhood to his unexpected role as friend and helper to a renowned humanitarian and spiritual leader. Michael Fischman's fascinating and personal memoir takes us into the compassionate and mysterious world of an enlightened seer. It is a compelling narrative that blends remarkable experiences with an inner struggle and search for meaning. Michael Fischman is a leader in the field of personal development.He is a founding member and current president of the U.S. Art of Living Foundation, a global non-profit educational and humanitarian organization, and is also the CEO of the APEX course, the corporate training division of the International Association for Human Values, an NGO founded by spiritual leader and humanitarian Sri Sri Ravi Shankar.A former advertising executive with Ogilvy & Mather, and an inspiring speaker, Fischman travels across the U.S. and around the world leading personal-development seminars that bring greater peace, awareness, and fulfillment to daily life. He currently lives in Boca Raton, Florida. “Michael Fischman’s journey reveals how fears and negative emotions can be transformed into love, compassion, and higher consciousness when a student has an authentic relationship with a wise teacher.” — Deepak Chopra. "Stumbling into Infinity has deep knowledge, humor, and moments of grace. Ultimately, this book will inspire you to see how much better your life — and the world — can be through meditation, service to others, and deep gratitude." — Carol Kline, co-author of the New York Times Bestsellers, "Happy for No Reason and Chicken Soup for the Mother’s Soul 2." "The impact of India’s spiritual teachings on Americans has been deep and profound. Michael Fischman’s engaging memoir adds an important chapter to that history by personalizing it and shedding light on one of today’s most influential masters, Sri Sri Ravi Shankar." – Philip Goldberg, bestselling author of "American Veda" and "Roadsigns on the Spiritual Path." "Michael Fischman's memoir is heartfelt and honest. He overcomes a difficult childhood and life, plagued by uncertainty and failure, to help lead a major spiritual movement." –Amy Weintraub, author of "Yoga for Depression" and founding director of the LifeForce Yoga Healing Institute.